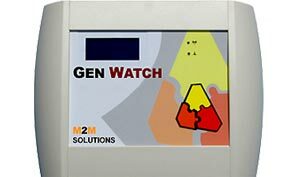 GenWatch is keeping a close watch over your fuel levels. Sophisticated sensing technology monitors the fuel levels with an accurancy better than 1%. Siphon detection is instant and will trigger an immidiate SMA-alarm to you or your designated managers. 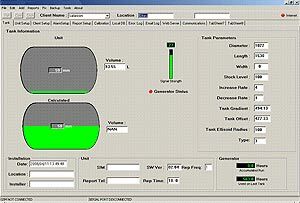 Underfilling is exposed by an unique algorithm fot auto-filling and trending analysis. Status indicators monitor the generator's running time, temperature and if the generator's output power is available - it can also warn you of generator theft. GenWatch meticulously logs all signals and indicators for trending analysis - enabling you to optimise your instations and schedule preventative maintenance efficiently. ● Back-up generators for hospitals, cell phone towers, radio repeaters etc. ● Accuracy better than 1%. ● Solar powered & battery backed-up. ● Immediate SMS alerts to specified managers. ● Almost any tank geometry and size. ● Programmable re-order levels and reporting intervals. ● Daily health check ensures units are fully functional. ● Instant indication Fuel Volume and Fuel Level. ● Automatic filling decection- level increases faster than a programmable rate. ● Automatic siphoning detection - level decreases faster than a programmable rate. ● Remote configuration of unit. ● Automatic exception reporting via SMS. ● Comprehensive breakdown of amounts fueled, dates fueled and fuel consumption per site. ● Siphoning and Filling reports specifying the dates, times and volues per site. 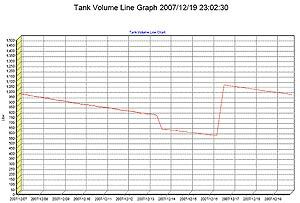 ● Detection of slow rate leakage. ● Continious full control over fuel levels. ● Instant detection of siphoning and underfilling. ● A centralised server provides remote configuration, monitoring and control. ● All evenst are time-stamped and logged for full audit trail. ● Customisable reports sent on a weekly or mothly basis. ● Graphical analysis gives instant overview. ● Hidrostatic pressure sensor from 1mWC+ up to 4mWC+. ● 0.5% accurancy or better. ● Maximum Tank Height of 4000mm (please enquire about larger capacities). ● Diagnostics serial port (RS232/RS485) available for third party equipment. ● Hydrostatic sensor intrinsic safe - according to II 2 G EEx ia IIC T4. ● Integrated Intrinsic Safe Barrier - according to Ex ia IIA. ● Final installation and assembly must also be certified.